Joomla 3.4 Hosting UK focuses on 4 main new features, though most average users will only be able to notice 3 of them. The main idea of this release is not to extend Joomla, but to begin the transition to the new release cycle and provide core improvements in the Joomla package. 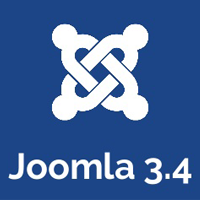 Joomla 3.4 Hosting are going to begin the process of creating a lightweight and powerful application which can be adapted easily for a variety of use cases. In the 3.4 release, the PLT aims to begin working on creating a lighter core distribution and establish a workflow for providing optional extensions outside the main distribution by removing com_weblinks from the core distribution. 1. De-couple weblinks from new installs – Joomla 3.4 includes the first de-coupling of an extension package. The weblinks component and all associated modules and plugins will be removed from the default installation. 2. Composer Integration - Composer is a dependency manager. You will be able to instruct Composer to pull in all the required extensions you need in your site using a single JSON file. 3. Continue Microdata Implementation - Joomla 3.4 will improve the microdata added in 3.3 by adding in additional flexibility to the newly added microdata library as well as providing greater integration with core layouts. 4. Front-end Module Editing - this release will include module editing from the front-end based on the standard Joomla ACL settings.